It was still an hour before dawn. There would have been a time when he’d already be on his way into work from the East Bay. The population of San Francisco increases by nearly 300,000 people Monday through Friday due to workers commuting into the City. Sean tried for forget that he used to be one of them. 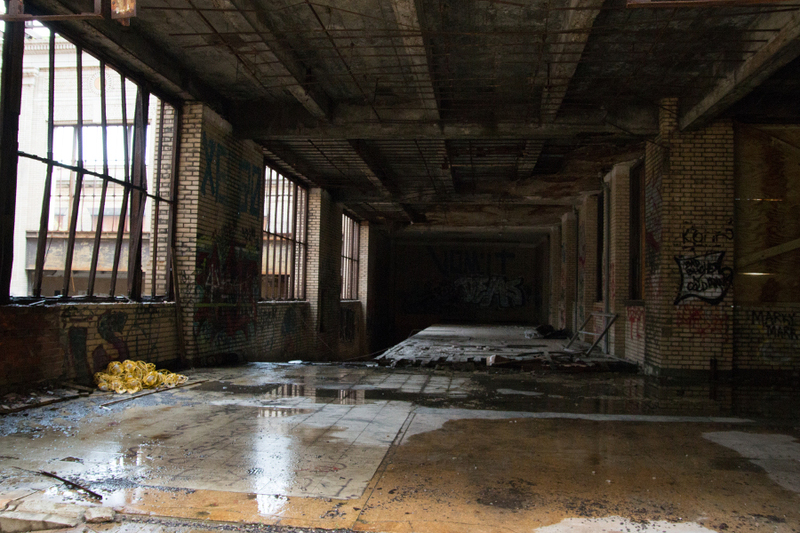 He knew that the two floors of the warehouse above Antonie’s lair were occupied by a highly dubious and most likely illegal population of artists and “undocumented immigrants,” but he had never thought to visit them before. He stood in the doorway. Normally he would take the set of stairs leading downward but he was distracted by a familiar voice. He looked ahead and he recognized her but couldn’t remember where from. Raquel was one of the human employees at a bar that catered to vampires and their “guests” and one of the very few who knew exactly what was going on. Dol and Verona said they trusted her and even Antonie was relaxed in her presence, so why should he care? He did care, though. He knew that Antonie’s “children” preyed on and manipulated the “daywalkers” as Boris, Petrov, and some of the others called them, but Raquel was the only one he’d met who not only worked with the “night children,” but who seemed absolutely unafraid of them. Why would any sane person work in a den of vampires? Sean wasn’t used to jokes at his expense, at least not this kind of “in joke,” but Raquel seemed pretty relaxed about it. Even if anyone was listening, they probably wouldn’t get the reference. Who could? She walked ahead of him dodging stray power cords, stone debris, discarded food containers, and the rest of the junk this “colony” tended to throw anywhere and not care about. They kept walking and Sean looked at Raquel from behind. She was wearing a short but thick jacket and jeans. Auburn hair dangled in disarray down to the middle of her back. Sean got a good “vibe” from her but didn’t know what that meant in the current context. She was friendly with the undead so what defined “good?” Then he realized that part of “good” was how her blood smelled. He hated himself for relating to everyone as prey. They moved around concrete pillars and then a partially collapsed wall. Sean saw sparks and heard something like a torch burning. He caught up with Raquel and watched her admire a half-melted collection of metal pieces, like part of an erector set in the hands of a pyromaniac. The artist was wielding a welding torch and wearing a heavy face mask. They waited for a minute until the artist noticed them, turned off the torch and lifted her mask. “Great. Friend of Raquel or just screwing her?” She extended a gloved hand. Sean took it glad she wouldn’t be able to tell the temperature of his flesh and grateful he couldn’t be hurt by the hot gloves. Then she put her mask back in place and ignited her artist’s tool. “Guess she has a dim view of other kinds of relationships and probably people in general.” The irony of his own comment wasn’t lost on Sean since “people” probably wouldn’t include him. 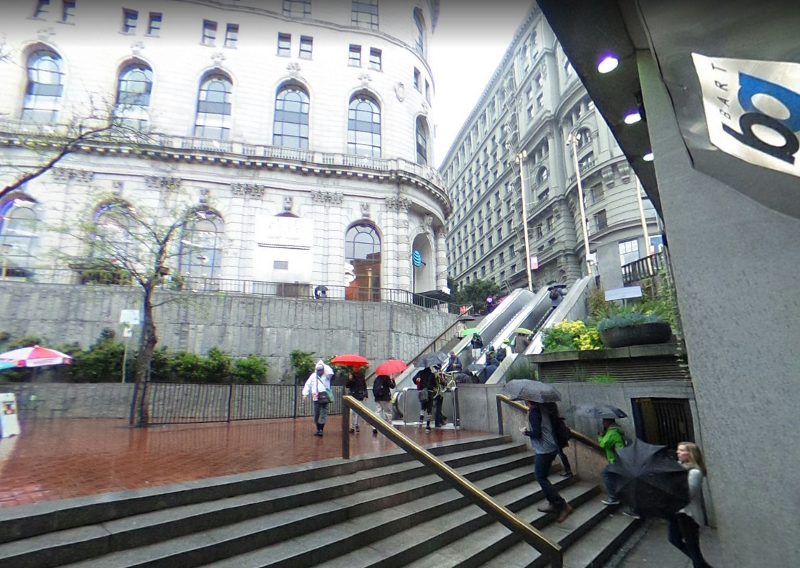 As they walked back out into the central area, Sean looked around at what he considered a classic “accident looking for a place to happen.” It was a miracle that even a city as liberal as San Francisco hadn’t shut this death trap down by now. “I’d better get back downstairs anyway,” he said a little too loudly, his ears still ringing from before. It hadn’t occurred to Sean before, but since he and the Family were helpless during daylight, someone should probably make sure they were undisturbed. It would be a disaster if a few of the artists or worse, a city inspector, should find the crypt and dozens of “bodies” lying in coffins and shallow open graves. He wanted to ask her what her involvement with the Family was but he was close enough to the front windows (most of the glass was broken) to see light on the Eastern horizon. No more time for chit-chat. He returned to the stairwell and then made his descent. Only a few other Children trickled in behind him. It was one of the few rules that Antonie didn’t have to harp on them about, getting home before sunrise. Over the next week or so, Marishka made it a point to avoid Sean which was fine with him. He hadn’t seen Raquel around either, but he didn’t visit Delirium very often. Dol took him out to “hunt” and he learned the fine art of selecting a victim, knowing just how much to take from each one, and leaving them with as little residual sense of his presence as possible. The act of feeding always left the person feeling dazed and drained, unable to remember what happened to them. The wounds he inflicted healed quickly, so if no one else noticed right away, there would be no evidence of the attack in a few hours and certainly not be morning. It was a hollow existence, the maniacal thrill of the hunt, the orgasmic pleasure of feeding, always followed by deep, morose depression. He thought about Marishka and what she tried to do, and the experience left the suggestion in his mind, seeing his family. It would be a horribly dangerous thing to do, but he missed them terribly. There were nights he would seclude himself in the crypt while the others were out and cried. Why would a loving God permit such a ghastly and pitiful existence such as his? Dol finally suggested to Antonie that Sean was ready to go out alone and “the Master” agreed. The first thing he thought of when he was out on his own was calling Pastor Gerry. Family members got an allowance of sorts, though Sean had no idea where the money came from unless it was part of the earnings “donated” by the children who were street walkers. He could buy a burner phone but standing outside the electronics store, he paused. He had memorized a map of San Francisco that showed the locations of all of the churches and avoided them. He could feel his stomach roll even when he remembered trying to approach the Cornerstone Church. Sean ended up downtown just off of Market Street and discovered a crowd of protesters and news crews outside of City Hall. He walked up to one of the people watching. Sean turned around and went back the way he’d come. For an instant, he thought he recognized something, a scent or a presence, but then it vanished. The bus explosion. It was Antonie’s own “terrorists.” They blew the bus to cover his disappearance. He was supposed to have gone into the bay with all the other passengers. Almost everyone on board died. Only some of the bodies were recovered, and only three people were rescued alive in the water. None of them could say who the others on the bus were so there were no definitive witnesses stating that Sean hadn’t been there. The UC Hastings College of Law was a good place to find the occasional student alone. Sean had to wait, but it was getting easier for him to keep out of sight. This victim had just crossed Hyde Street and was heading toward Snodgrass Hall. The road on once side of the building going into the back was in shadow and Sean was fast. He was maybe twenty-two or so, hungry, sleep deprived, anxious. For a few moments, Sean would give him a reason to forget all of that. Sean felt his heart beat faster. His vision became hyper-focused on his prey. He could see him shining like a candle in the darkness. His blood smelled so delicious. Sean saw it, dark red, thick, warm, flowing. He was salivating and had an erection. The kid stepped into a shadow and in an instant, the vampire grabbed him by the collar, slammed him against a wall, and then pulled him down into an alley on the side of the building. In less than a minute, it was over. Sean was half a block away by the time the kid realized he had lost track of time and tried to remember where he had been going. He always felt thrilled and desperate before the attack and then lost and purposeless afterward. There was nothing to do now. His existence was reduced to sleeping, hunting, and feeding, and that was all. 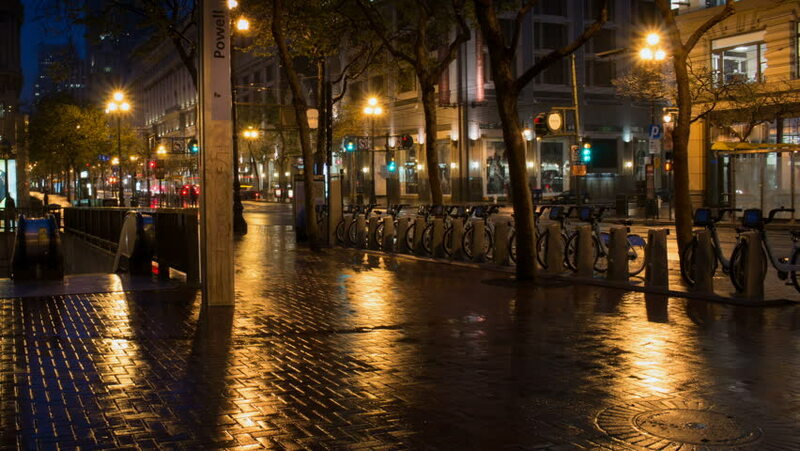 Night in San Francisco, once exciting and beautiful had been reduced to shadows and ashes. Sean turned left at Hyde and Turk and went east again for no particular reason. Somehow he’d ended up about a block south of Little Delhi. He used to eat there for lunch sometimes but that was a lifetime ago. Now, every time he thought of actual food, the thought repelled him, even made him nauseous. Too bad, because somewhere in the back of his mind, he remembered really liking their Chicken Tandoori. He was back on Market Street and had just crossed 5th. Powell Street Station was on his left when he smelled an odor that almost overwhelmed him. Then there were the voices. That’s it. It must be his memory. No, it was a dream. Maybe it was both. He was walking with Janet. They were dating. Janet had told him she wanted to wait until their wedding night, but they were in one of the most romantic cities in the world. He spent a week’s pay on one of the finest suites at the Hilton. They made love three times that night. Last year, they took the children to see the Nutcracker at the San Francisco Ballet. Lizzie slept through most of it. Sean and Judy had been taking the kids since Aaron was four. The de Young Museum, the California Academy of Sciences, the family consumed the cultural and culinary treasures this city had to offer. Sean couldn’t imagine raising children here, but it was a marvelous place to educate them and then retreat to the safety of the suburbs. Sean was in a daze. Why was he having all of these memories now? He’d worked so hard to put his family out of his mind. His wife Janet. Yes, she was here talking to their son Aaron and their daughter Jill. Where was Lizzie? Why wasn’t he remembering her, too? The smells, the sounds…escalator. Why was he going down the escalator? He could smell them. He followed them like prey. Their blood smelled so sweet, so succulent, especially the children’s. It was alluring, intoxicating, seductive. What! Whose children? He panicked an ran. It was exactly the wrong thing to do. He was headed across the small plaza. On the other side was an overpass where the visitor center was. It was lit at night but still enough shadows to hide him until he got out the other side. Jill got separated from her Mom and brother in the crowd when she saw a man who looked like her Daddy. The five-year-old went after him as fast as she could, trying to dodge all the grown ups. She couldn’t leave her seven-year-old son and she hoped he’d be able to keep up long enough to stop Jilly from disappearing into the crowd. If only she had left them with the Polacks like she had Lizzie while she came into the City and made her statement about the terrorist act that killed her husband. But they wanted to come because they had something to say, too. Sean was their Dad and they were robbed of his love and his kindness far too early in their young lives. Sean didn’t have to look back to know what was happening and if he did look back, they might see his face. Too many people in his way. He could throw them all aside like ragdolls, but he’d already drawn too much attention to himself. “This way, Sean.” An arm grabbed him. He could have easily pulled away but he recognized Raquel’s voice. He focused on her as hard as he could and let her guide him out the other side and up the stairs to the right. They were heading for the San Francisco Cable Car turnabout at the end of Powell. He could still hear little Jilly screaming behind him, “Daddy, don’t go! Please!” His heart was breaking for her all over again. How could he leave his wife and children? How could he stay and rob them of everything it is to be human? Judy and Aaron found little Jilly sobbing at the foot of the stairs where she thought she saw her Daddy running. She hugged her while Aaron pressed against them both. He was crying too. Sean felt like vomiting but that would be a hideous revelation to everyone around him. He couldn’t remember the last time he’d been on a cable car. It was something tourist do for the most part. He didn’t feel like a tourist. He didn’t know what he felt. Angry? Depressed? Outraged? Royally pissed off at God for letting this happen to him. Raquel was with him. She helped him make his “getaway.” Her timing was excellent but what the hell was she doing here? “Let’s get off .” He followed her. They were facing Union Square. This time of year, there was an ice rink in the center. Everybody seemed to happy. Sean thought about murdering them all. When they got to the other side of Geary, he grabbed her arm to stop her. “How did you know where to find me? Have you been following me?” He almost bared his fangs. What sort of trick was this? “Yes.” She looked both sad and impatient. “Why?” Sean sounded menacing. He meant to sound that way. He wanted to frighten her into telling the truth. “This time you follow me.” She pulled her arm away and walked into the square toward the Bancarella outdoor cafe. Sean still felt confused and upset. He had to calm down and think. Seeing Judy and the kids must have been an accident but Raquel being here wasn’t. She was waving to someone standing by one of the palm trees. Another odor. He recognized this one, too. The Potrero library branch. The vampire, the one who wasn’t part of the Family. He was here. The vampire wasn’t what Sean expected. He looked like he was in his early to mid-twenties, brown curly hair that seemed to go in all directions. Jeans, a windbreaker, Nikes. He could have been the poster boy for generic college student or even a jolly latter-day elf. “Hey, girlfriend. Glad you could make the party. So you’ve brought him to meet me at last.” The vampire was waving and smiling, he seemed happy to see them. He blended in with the others here more than Sean ever thought one of his kind could. It had been a long time since anyone used his last name and for an instant, he resented Raquel, but then the mystery of his last second rescue, how she had known where to find him, and her taking him to the vampire drew all of his attention. Sean didn’t know whether or not to trust the stranger and right now he didn’t know if he could trust Raquel either. His brain still felt scrambled but he had only two choices, find out what this Artemus wants or go back to the family. She was looking up at him, pressing the palms of her hands against his chest. She was a seemingly normal human woman standing between two vampires, supernatural representatives of evil, beings just at home in the deepest pits of Hell as on a city street. For an instant, he thought of Pastor Gerry, but that wasn’t an avenue he could travel right now. “Jam?” Artemus looked at him questioningly. “Long story. Sean saw his wife and kids tonight. Yes, they’re fine.” Raquel offered. Sean shot Artemus a hostile look. How could anyone understand what he’d just gone through. “Just stay here until I get back. It’s important, I promise.” Raquel smiled and then walked back out of the square and into the darkness. Sean was alone with Artemus. He could still leave, but where did he have to go that was any better? They didn’t say much to each other while Raquel was gone. They were surrounded with people so they had to be careful, but Sean found that he didn’t know what to say to this counterpart. Who the hell was he and why was he here? What did he want with Sean and how did Raquel know him? As much as he liked Raquel and thought he trusted her, now he wasn’t sure of anything except if Antonie found out about any of this, it was all their asses. Artemus rode in the backseat while Sean sat next to Raquel. They started out west on Geary and kept going for a while. She seemed to be driving endlessly like she was killing time but the suspense was agonizing to Sean. 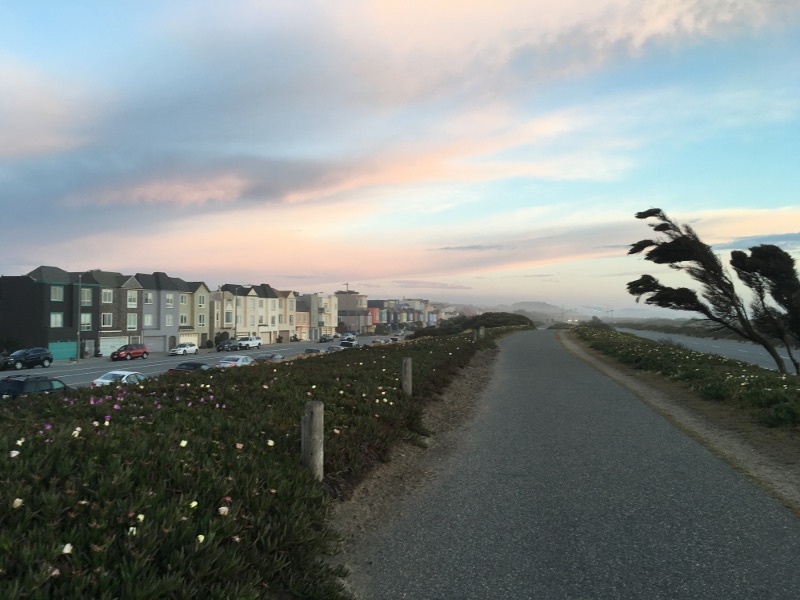 Eventually she turned back onto Geary and then Point Lobos Avenue. They followed it through Sutro Heights Park and then around to the Great Highway near the beach. She stopped the car in public parking. This time of year, there weren’t many people around, especially after midnight. “We’ve been watching you for a while, Sean.” The conviviality in Artemus’s voice was gone. He was “all business” as the saying goes. Sean knew he didn’t but until right that moment, he didn’t know what he could do if he left. But was what Artemus was offering any better? “Sean, I’ve got a ground floor apartment, a flat actually. There’s a false wall and room enough for both of you. Earthen floor, you can stay there when dawn comes.” He couldn’t see the color of her eyes in the dark, although he could see her flesh with absolute clarity and smell her blood, but he knew she was looking at him intently. She sounded scared and yet hopeful. He still needed to get out of Marishka what she did that marked him as cursed, that lead Antonie and Dol to make him one of theirs, but that would have to wait. Raquel turned the ignition key and started the engine. “Time to go home.” She pulled out of the parking area and then east on Balboa. Sean heard the pounding on the panel next to his head. What? Where? Oh yeah. Raquel’s little hole. He was keenly aware of the presence of Artemus in such a closed space. He’d never…slept this close to another one of his kind before. It was disturbing. “We’re awake, Raquel.” Artemus tripped the latch and the door swung outward. He crawled out with Sean right behind him. “It’s on the news. Oh my God I don’t believe it.” She had been crying. They followed her into the living room. The TV was showing the 5 o’clock news. “You mean Van Helsing?” He was staring at the images of horrific destruction still being broadcast. Sean was transfixed by the news report. Dol. Marishka. The fire started while it was still daylight. They would have been helpless, all of them. In the deepest part of the crypt, Antonie sat mute and unmoving in his “throne,” the one from which he pronounced his judgments upon the Family. The fire was still burning overhead and some of the flaming ceiling above had already collapsed in their lair. They were ashes now, or most of them were. His children, his beloved children, all gone. How could anyone survive the hellish flames? This all started during daylight. Where were the guards, the daywalkers? It didn’t matter. They were few and couldn’t have gotten any of them out of this. Then he felt something at his arm and heard a voice. He looked at her. It was Marishka. One of his precious ones. He smiled and stroked her hair. “Where indeed, child? Where indeed?” His eyes reflected the flames but they were staring at a distant scene painted in snow and ice. She heard a rumbling and looked up. The ceiling wouldn’t hang on much longer. The men wouldn’t be able to come in here right now, but as his child had warned, eventually they would. She didn’t have time to worry about whether or not he had gone mad due to his loss or had been insane all along. She dashed out. There was still one tunnel left to the outside that hadn’t collapsed. Some of the others had gone out that way. Maybe they could help each other. One of the worst things possible has happened to Sean, he’s seen his family and more, he’s hungered for them. Once his friend Raquel was able to get him away in time. But who is she really, what is her relationship with the mysterious Artemus and what is the Coalition? I’ve also introduced the group known as The Van Helsings, a fanatical group of vampire hunters who may have existed for over a century. Were they responsible for the destruction of the Demon’s Feast and the deaths of over sixty people (not including vampires)? Here’s a hint. You first met The Van Helsings in last week’s flash fiction tale The Burning. 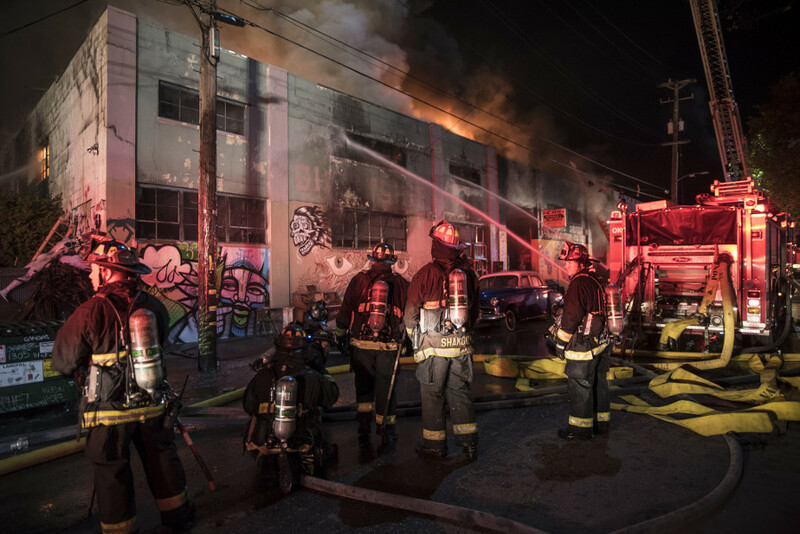 I based “The Demon’s Feast” including its flaming demise on the real-life 2016 Oakland “Ghost Ship” Warehouse Fire. I mean no disrespect to the victims of that disaster and only used it because it fit so well into the story and mythos I’ve been creating. What will happen to Sean Becker now that Antonie’s Family is gone…or did some of them escape like Marishka and did Antonie stay and perish with his beloved children? I meant for the answer to the latter to remain in mystery for a while, but then answered it this morning when I wrote Sheltering Night. To learn even more about Antonie, visit Blood and Misery and The Romanian. Another related story is The Thaw. I originally wrote The Vampire’s Sigil to be part of the Sean Becker series “canon” but the more I thought about it, the demonic entity I hinted at in that tale didn’t fit at all with the mythos I’m creating, so I’m setting it aside. BONUS: Learn more about Marishka’s past in the story A Quiet Evening’s Conversation. Oh, I did write another Marishka tale post-the burning of the Demon’s Feast called A Brilliant Dawn. The next chapter in this series is Sigil. OK, but you have yet to explain what woke Antonie from his reverie and got him out of the basement of the burning building, then onward to Siberia — presuming that the “Sheltering Night” story occurred afterward rather than as a retrospective on a period prior to the present story. This could still be the story of his end, and the initiation of a line of suspense about Dol and Marishka and the potential threat they will pose to Sean who still wants to understand how Marishka marked him years earlier for some future retrieval. Does this prior marking still make him susceptible to her in some manner? Can she exert some sort of priority influence over him stronger than Dol’s, now that Antonie is out of her way? Can he break free of them both with the help of Rachel, Artemus, and their “Coalition” which sounds superficially dedicated to a greater degree of individual freedom than Antonie’s cultish “Family”? I don’t have to reveal everything in a linear fashion and there’s something to be said for letting the suspense hang in the air for a while. I need to get back to the Norton-based stories and in fact, there are numerous projects that need my attention, but my muse seems to be a bit fickle.